How to send contents and playback to TV from computer? To send contents and playback to TV from computer. 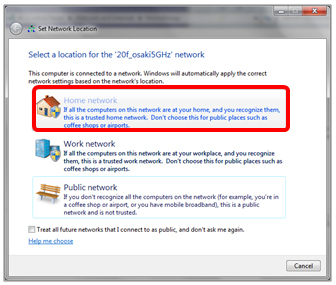 Please follow the steps below to send contents and playback to TV from computer. 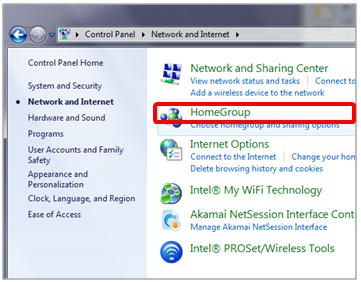 Home network setting is necessary to enable Remote play of Windows Media Player 12 on Windows 7. 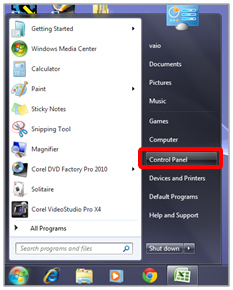 Launch Control Panel from Start menu. 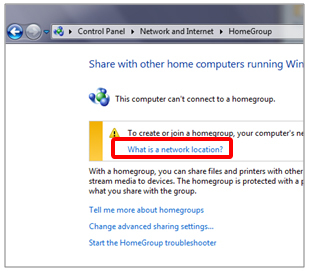 Select What is a network location? 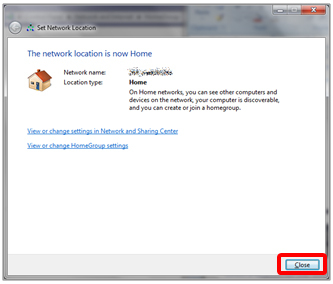 Select Close and complete the settings. 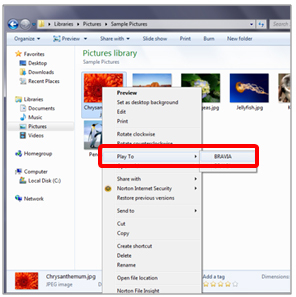 Launch Windows Media Player (Start menu → All programs → Windows Media Player) and select some contents (pictures or movies). Right click and select Play to → BRAVIA. Open folder which contains the contents (pictures, movies) and right click on the file and Play To → BRAVIA. Right click on the folder which contains the contents (pictures, movies) and Play To → BRAVIA and start slide show with all included contents. 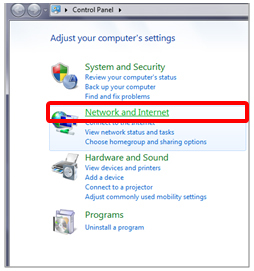 How to send contents and playback to TV from Windows 8 computer?